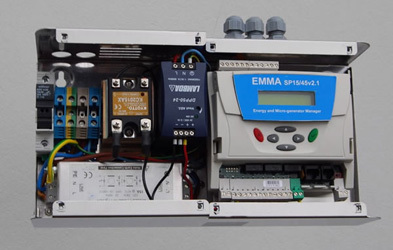 EMMA increases the value of over half of the output of your micro-generator by using it in the household or farm. 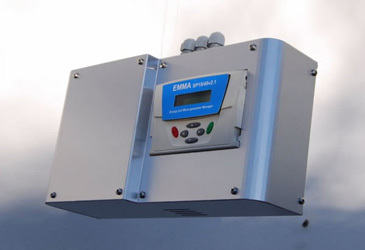 Nexus Building Solutions standard EMMA units match demand to the variable output from RE generators, thereby eliminating uncontrolled export that otherwise occurs. The surplus energy is diverted to immersion and/or storage heaters. Our GVS units have the added ability to regulate export to the grid with reference to standards set by the Network Operator. This enables RE generators to be grid-connected on sites that would otherwise require expensive and time consuming transformer/network upgrades. Nexus Building Solutions can link your PV systems to the current FIT which means you get hot water as well as free money of the utility companies. Any house where your micro-generator is producing more than 3000kWh per annum. Put EMMA instead of thermal solar. The cost is approximately 40% of a thermal solar system.